Teaches generalist practice, field seminar, social work with substance using disorders, and spirituality and social work. Long, P.C. (2007). Understanding social work as an international human rights profession. In Social work for social justice: Strengthening social work practice through the integration of Catholic social teaching. Curriculum Resource Guide. St Paul, MN: College of St. Catherine/University of St. Thomas. Long, P. (2003). A Critical Response to the College Cost Crisis. Integrity. 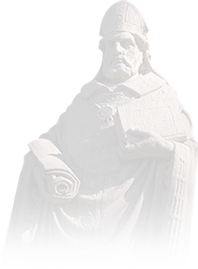 Davenport, IA: St. Ambrose University Chapter; American Association of University Professors. Long, P. (2001). Ethical and inescapable: Political social work. In M. O'Melia and K.K. Miley (Eds.). Pathways to power: Readings in contextual social work practice. Boston, MA: Allyn and Bacon. Member, National Association of Social Workers, since 1980. Member, Academy of Certified Social Workers, since 1983. St Joseph the Worker House, Rock Island, Illinois. Member of the Board of Directors. (2016 - Present). St. Joseph the Worker House, Rock Island, Illinois. Chair, Policy and Practices Committee. Member, Bylaws Committee. (2016 - Present). School Social Work Journal. Member of the Advisory/Editorial Board. Illinois Association of School Social Workers. (June 2004 - present).